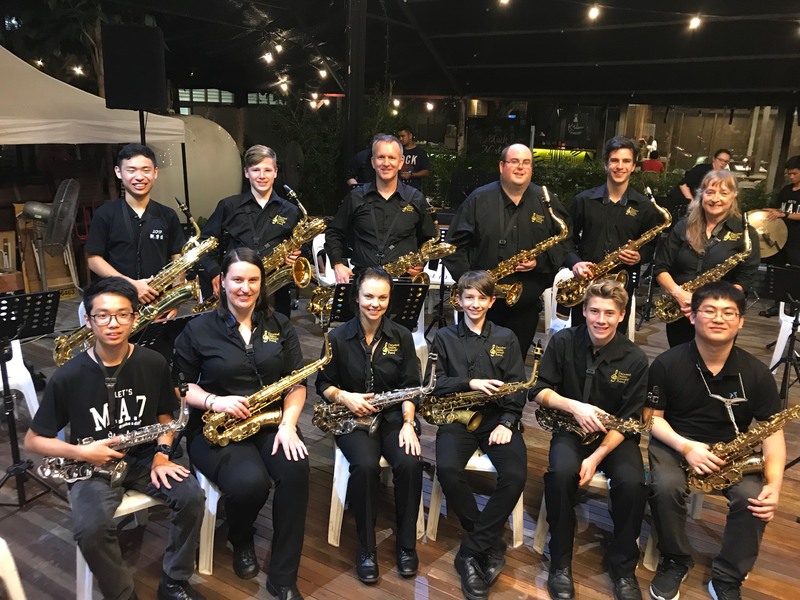 During July, my son Connor and I were fortunate to be able to participate in a ten-day concert tour of Malaysia with the Derwent Valley Concert Band, based in New Norfolk, Tasmania. 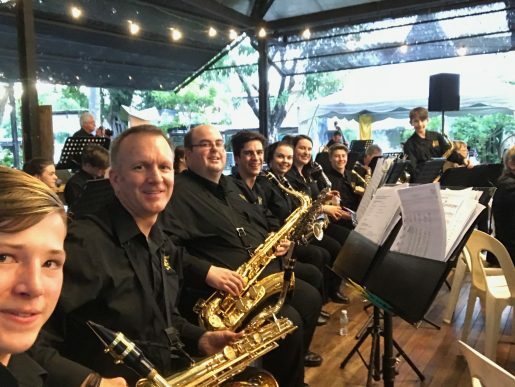 Now in its 25th year of operation, the Derwent Valley Concert Band is one of Australia’s most highly acclaimed, travelled and successful Community Bands. 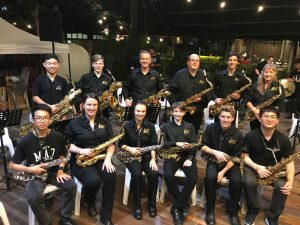 Winner of a number of Tasmanian State Championships, the band also tours every second year with previous tours having travelled to Japan, Canada, Austria, France, Belgium, Italy, Germany, Poland, Switzerland, Czech Republic, Sweden, Spain, Denmark and China. 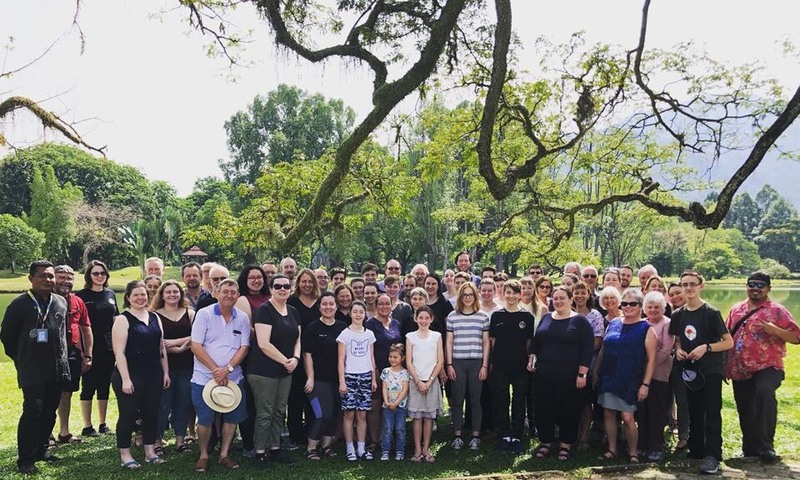 The 46 members of the band and support crew on this tour spent ten days travelling through Malaysia performing concerts and participating in workshops and rehearsals with local musicians. The tour took in a number of Malaysian Centres including Kuala Lumpur; Ipoh; Taiping; Georgetown (Penang); and Kota Kinabalu in Sabah. Malaysian singer, composer, and teacher Mia Palencia (currently a resident of Hobart) joined us on tour as a vocalist performing jazz/popular standards and some of her own compositions, including So Many Hands, the theme song Mia wrote for, and performed at, the opening of the 2017 South East Asia Games and Sabahan Songs – ‘a modern-day immigrant story’ commissioned especially for this tour. 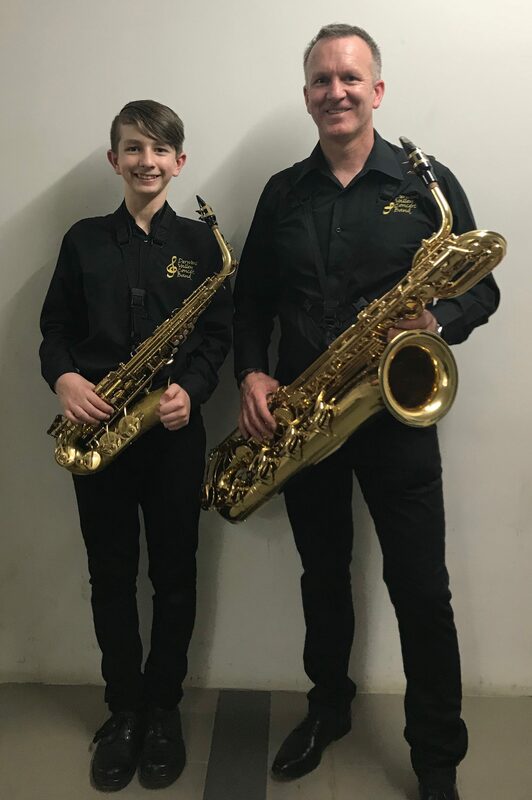 Our ‘father and son’ membership of the Derwent Valley Concert Band originated with Connor. In 2016, at age 12 he attended a two-day spring school program and as a result was invited to join the band’s intermediate training band program. Picking him up from the rehearsal, I become reacquainted with band musical director and my former primary and high school instrumental teacher, Lyall McDermott. Lyall encouraged me to try playing sax again after a 25-year break and join the band with Connor. 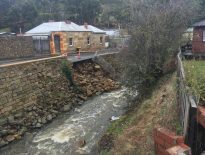 Excuses of self-doubt, poor musical recall and the lack of an instrument proved ineffective! 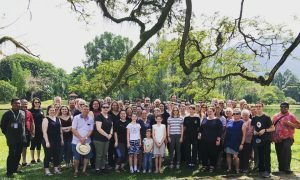 Initially, with a borrowed instrument, a significant level of self-doubt and feeling decidedly less than intermediate, I attended my first rehearsal with Connor. Connor on the other hand viewed his nervous struggling dad as tremendously amusing…. Various rehearsals, training programs, concerts and performances followed but it’s fair to say that I don’t think either of us ever expected that this joint interest would ultimately lead us to touring and performing together with the band to Malaysia. We’ve made some great new friends and have both progressed and learnt a great deal. 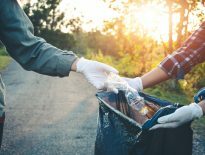 For me, musically I’ve learned to do things which are beyond anything I’d ever done before and which are very different from my day to day work at WLF. Music is a fantastic opportunity to perform for and bring joy to others. This experience has been an amazing opportunity to get a second chance at something I really enjoy and at a point in my life when I hadn’t considered it at all possible. It’s been an even greater and rare privilege to be able to share these experiences with one of my sons. Performance is intoxicating and the next tour, already in the planning stage, will centre around competing in the World Marching Band Championships in Limerick, Ireland in 2021. Connor and I are already practising hard, attending extra rehearsals with the band’s marching squad and hoping to get selected for our next overseas gig!